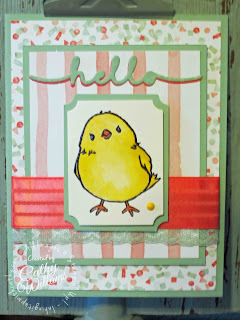 Inking It Up With Cathy: Happy Happenings Stamp Set - Hello Chicky!!! 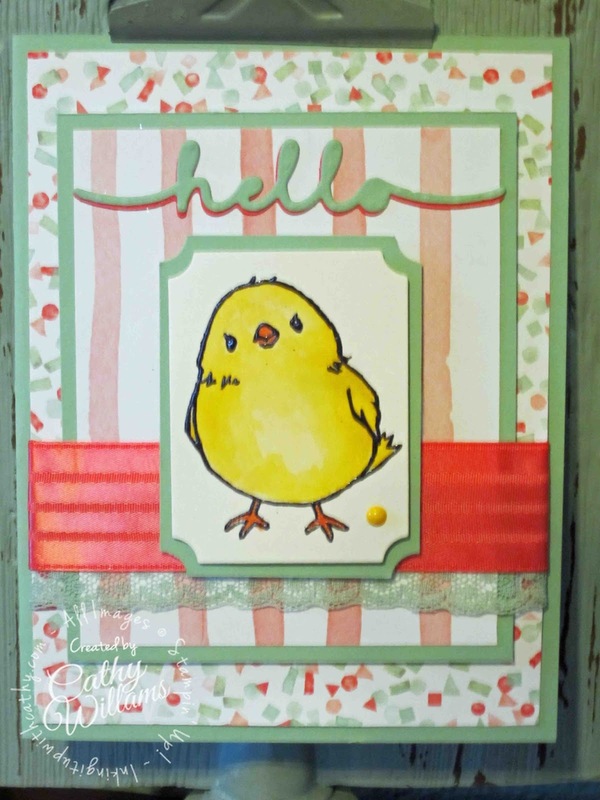 Ok, so who else fell in love when they saw this little chick in the Sale-A-Bration catalog? Such a cutie! You like coloring using your Aqua Painters. But your paper breaks down when you are coloring, right? 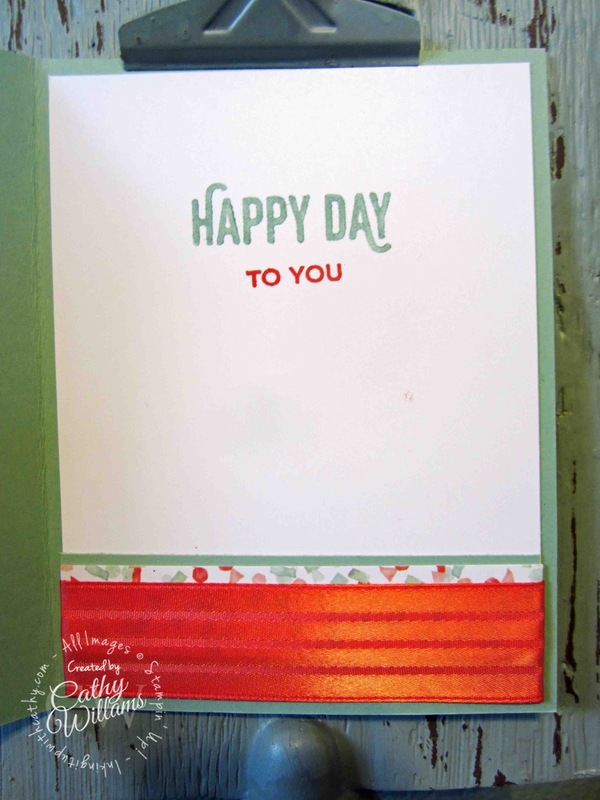 Here is a tip for you - use the Shimmery White paper! It does not break down as quickly as Whisper White (yes, it will if you work an area too much) but does not have the texture of the Watercolor paper. Try it and let me know what you think, ok? Yep, I see it - "To You" is crooked! I hate that but this was a sample for a class and by the end of class, my samples usually have some ink smudge on them somewhere so I thought I would just ignore it for now - somehow hoping that there will be no smudges and I will break out my heat gun and unglue the paper and replace it. Of course, I knew you would spot it so I had to mention it. 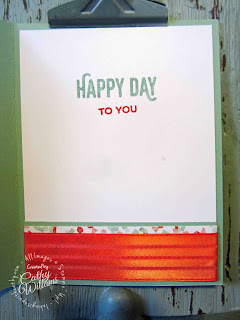 Time to break out my Stamp-a-ma-jig or MISTI!